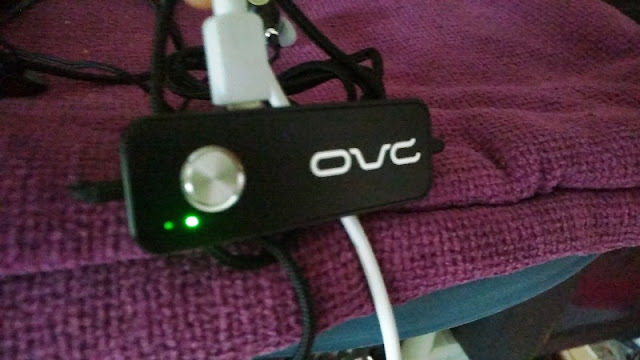 OVC H15 Wired Active Noise Cancelling w/ Bass Boost! 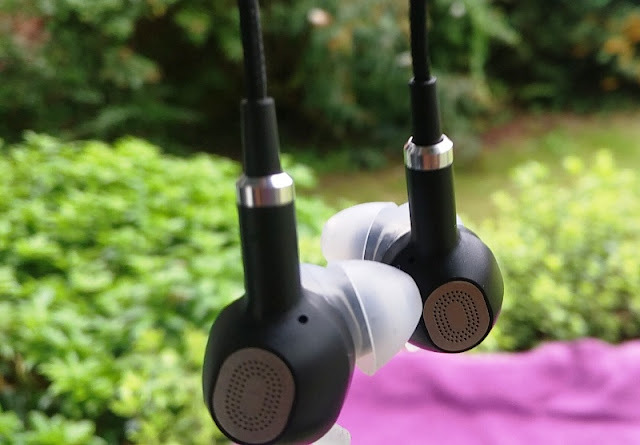 While Bluetooth headphones are getting better at replicating the audio quality of wired headphones, there is nothing like a good wired connection for an authentic HD quality sound! 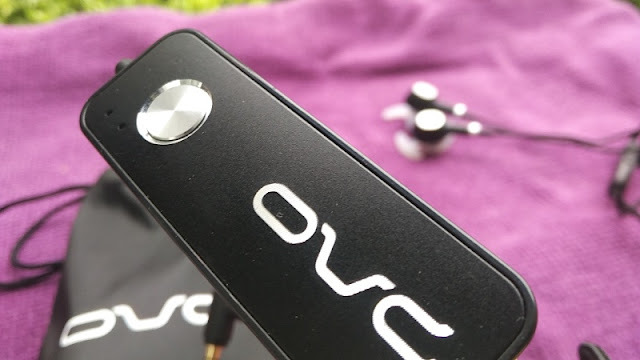 The H15 earphones by OVC deliver awesome sound quality and come with neat features like active noise cancellation and bass boost! 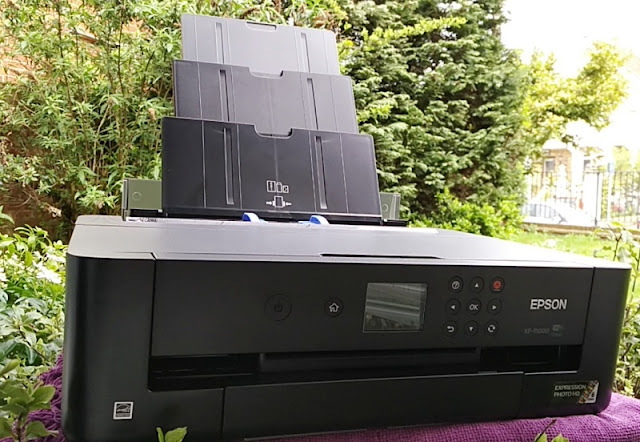 The OVC H15 build quality feels premium and durable with matt black finish throughout that prevents fingerprint smudges. 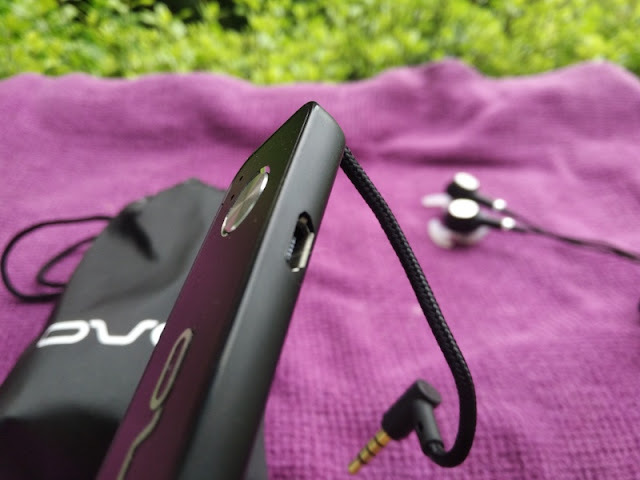 The earphone housing and nozzle are made of solid plastic material with aluminum accents that give the H15 a sleak look. 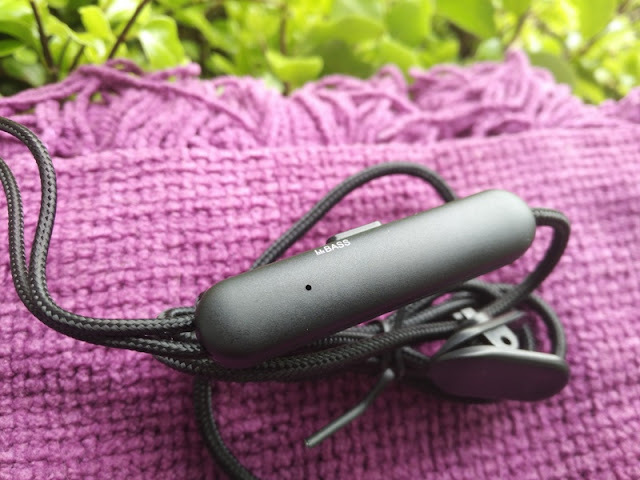 Along the nylon-braided cable, you find an inline remote with three buttons for controlling play/pause and volume. 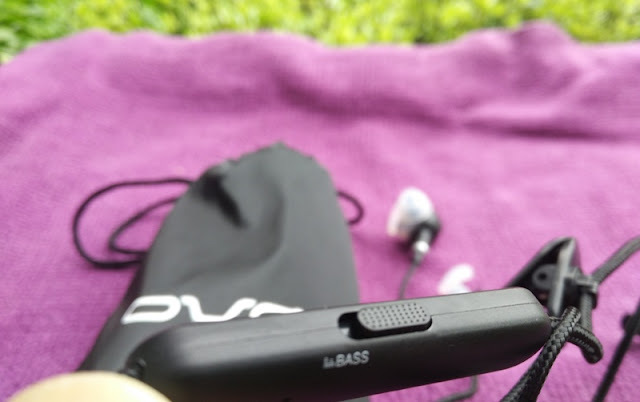 There is also a dedicated bass switch on top of the remote that allows you to further improve the bass of a track at a flick of a finger. 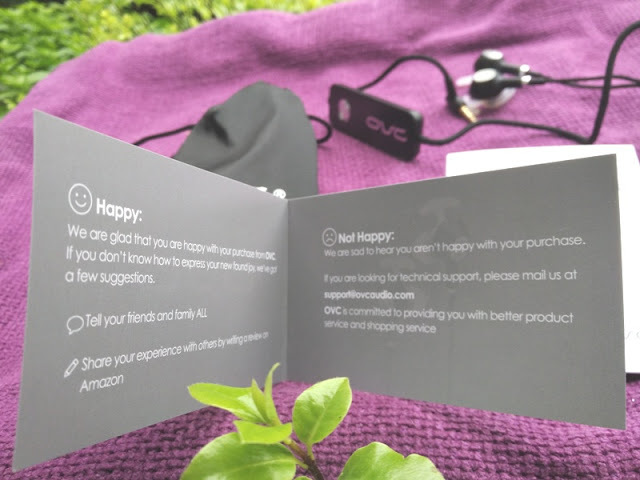 The OVC H15 remote control compatible with APPLE, HUAWEI, SAMSUNG, HTC, XIAOMI, MEIZU, COOLPAD. 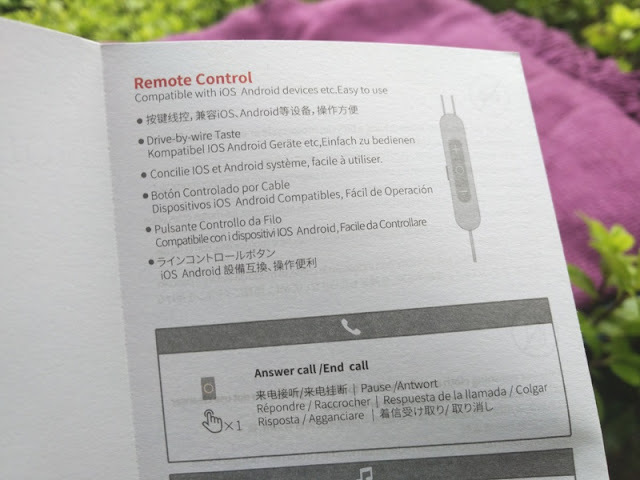 On the back of the remote control, you also find the built-in microphone pin hole for hands-free calling. 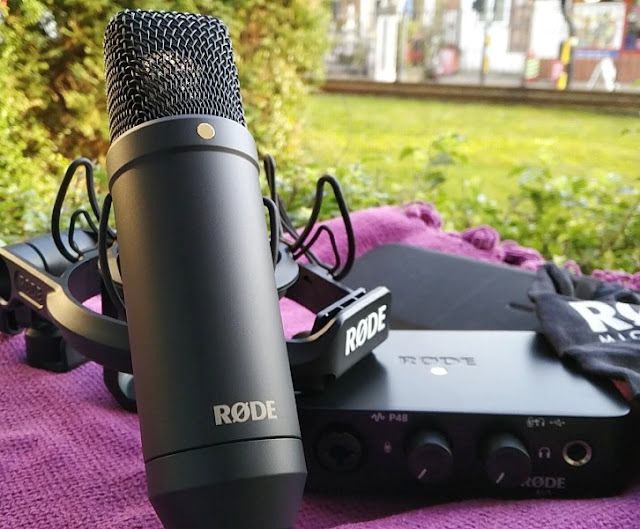 The mic does a good job at picking up your voice clearly. 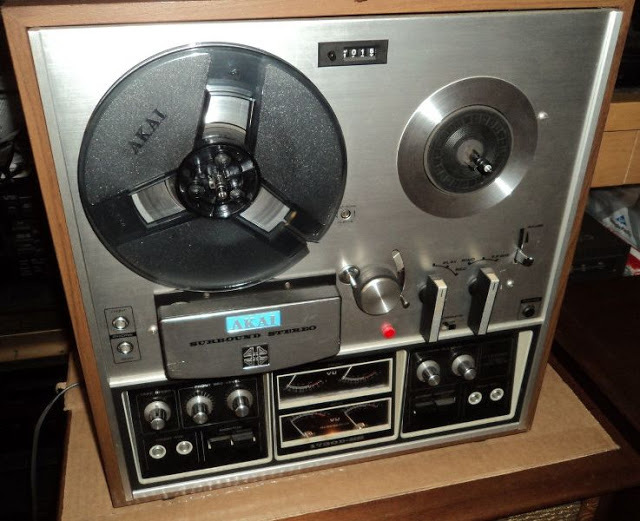 There is a cable clip included that helps secure the mic in place to prevent it being muffled. 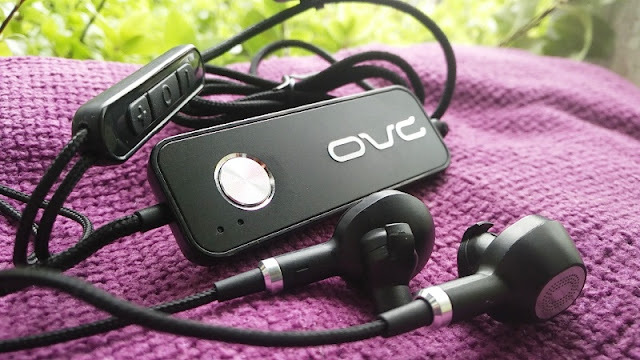 The in-ear design of the OVC H15 earbuds feature ergonomic nozzles rather than straight nozzles. 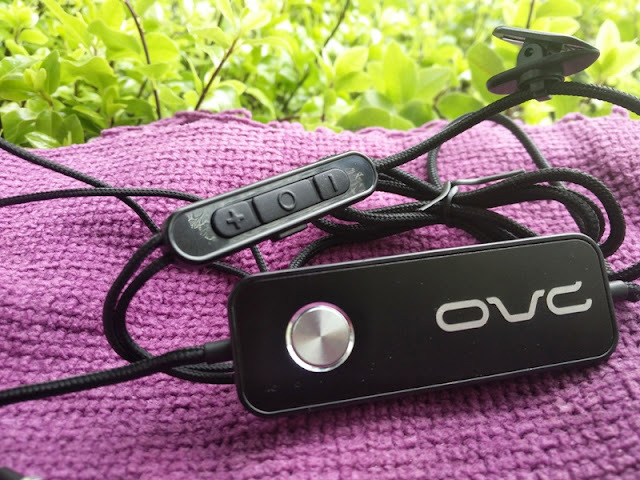 The OVC H15 earphones have angled nozzles that are designed to mould around the ear canal so the earphones stay put and don't fall out. 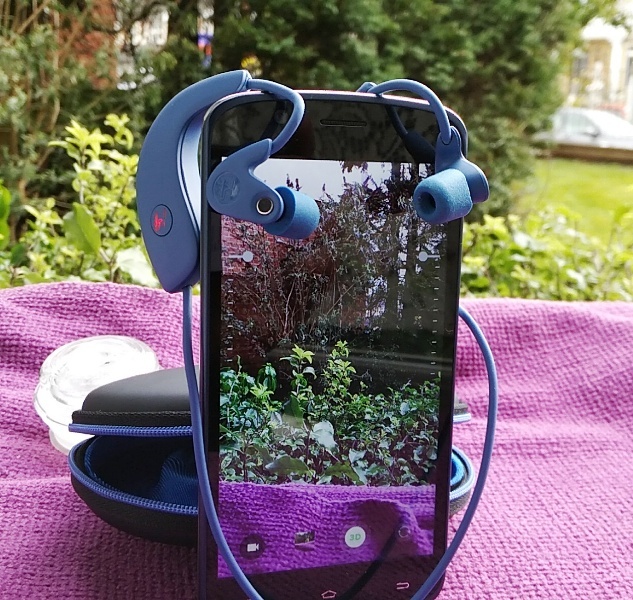 The included silicone eartips have a winged design that helps the OVC H15 earphones stay securely in your ears. 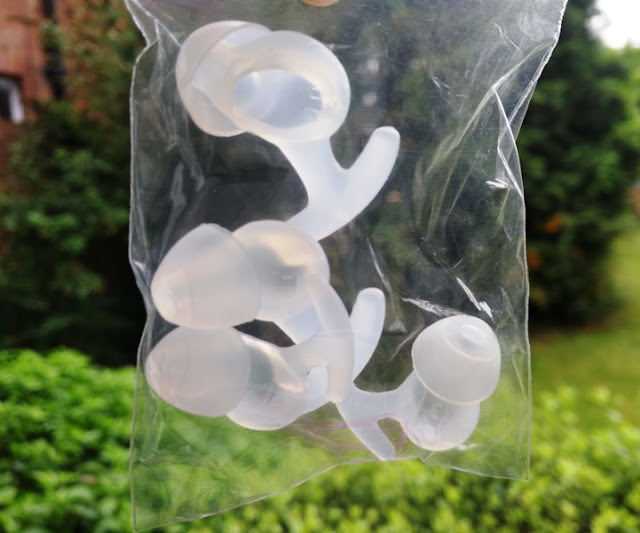 These ear tips also do a good job at blocking noise passively as they have a unique design that covers the entire base of the nozzle, providing a comfortable fit and tight seal inside the ear canal. 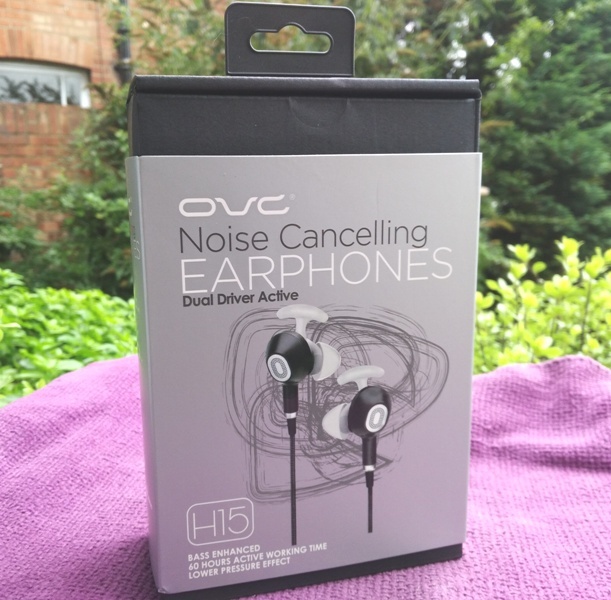 Aside from passive noise cancellation, the OVC H15 earphones also feature active noise cancellation (ANC). 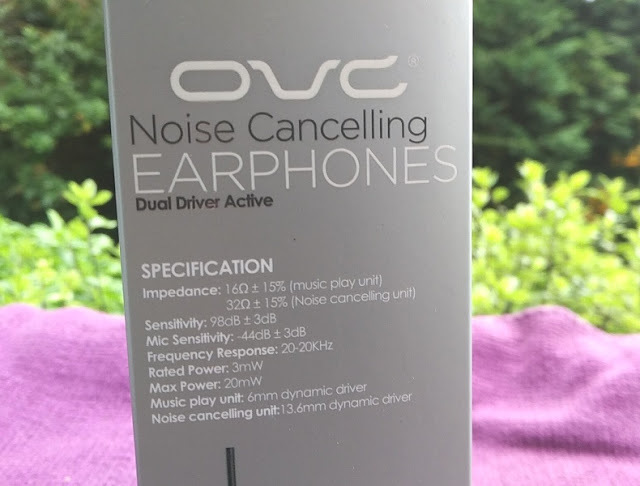 In fact, the OVC H15 have the same noise cancelling rating as the Bose QuietComfort QC25, providing 25 dB of noise cancellation. 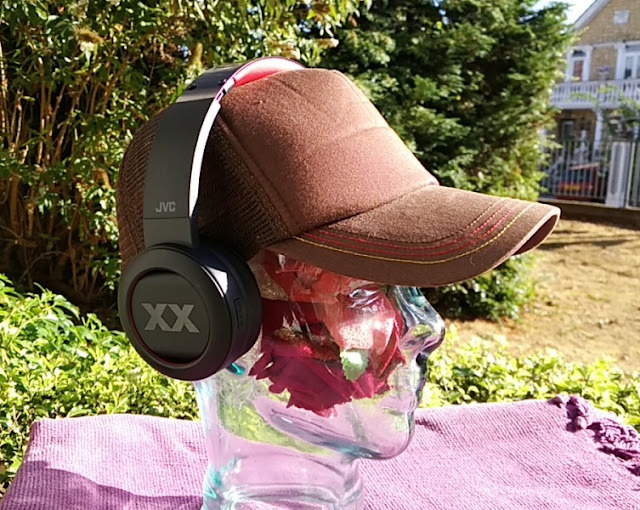 The active noise cancellation hardware is located separately on a small unit with a brushed aluminum power button that allows you to turn the ANC feature on and off. 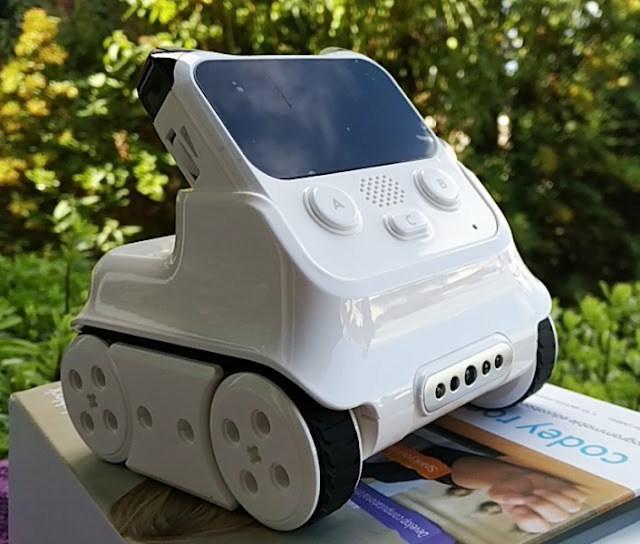 The battery of the active cancellation unit is rechargeable via micro USB and lasts around 60 hours. 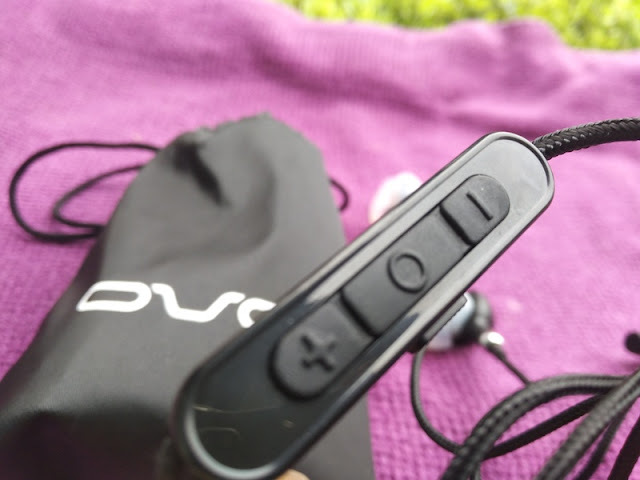 The active noise cancellation box is located just before the 3.5 mm jack. Near the power button, you also find two small LED indicators that light up green. The green LEDs indicate ANC function and battery power. 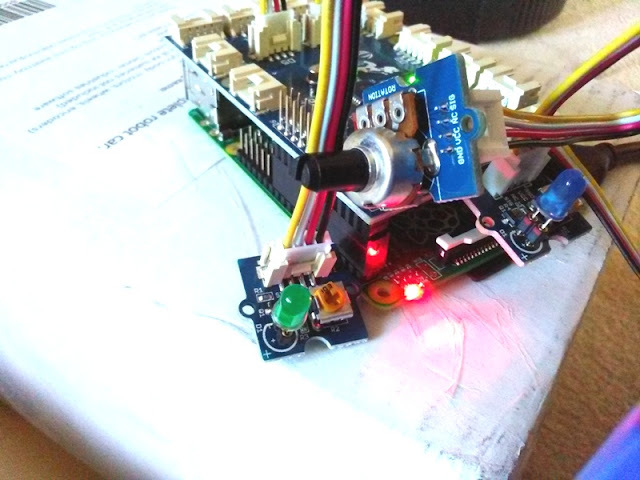 When powered on, both LEDs light up green, telling you the ANC feature is working. During charging, the left LED flashes green, while the other LED stays on. When the battery is fully charged the flashing LED turns solid green. 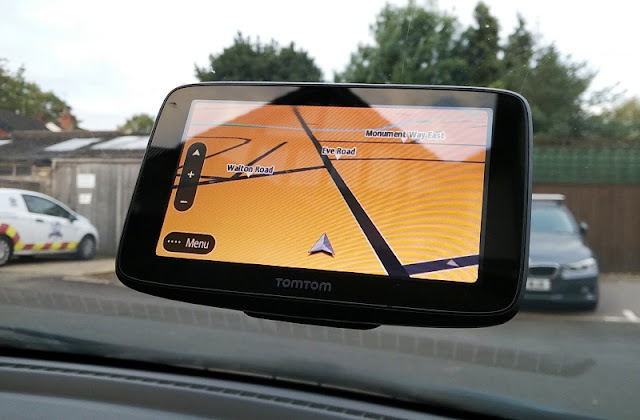 Low battery power is indicated by rapid flashing of the power LED. 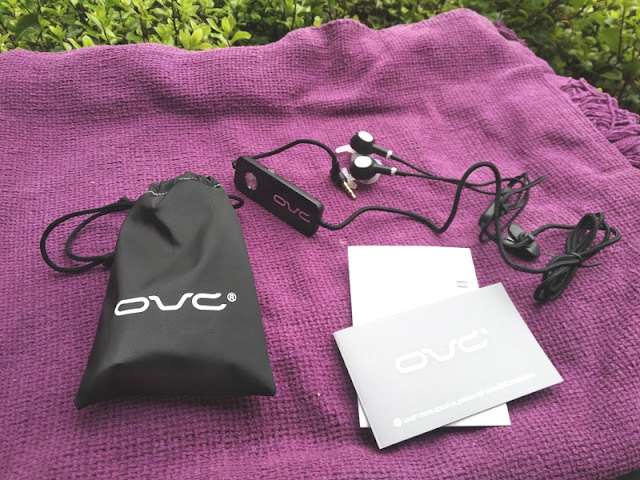 Inside the box, you get a micro USB charging cable, an airline adapter, two sets of soft ear tips, a travel pouch, user manual, a cable management silicone tie and 18 months warranty. 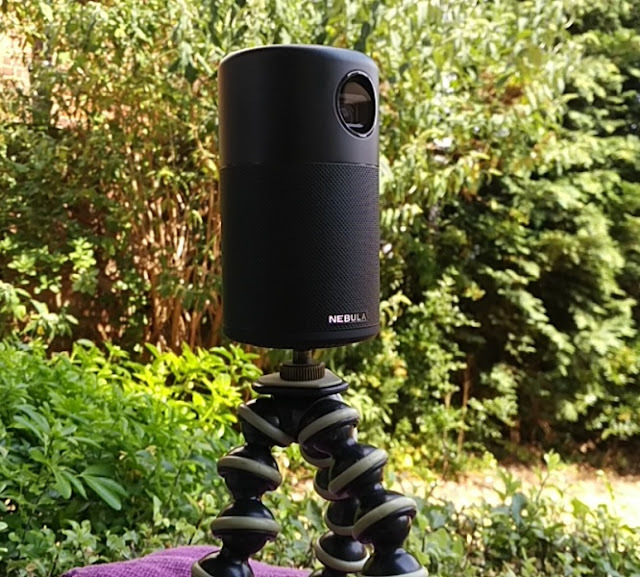 You can also purchase the OVC H15 from Amazon US and Amazon Germany.